The assignment blogging 101: use dark, fridge and tears of joy or sadness. I am honored and delighted to be nominated for this award. Thank you so much for this nomination Jiggle On Yes I am definitely a new blogger and learning new things all the time. I am finding so many interesting blogs and writings and thoughts and oh so many other things!! Thank you for helping me and for picking my blog for this fine nomination. I graciously accept and look forward to oh so many more learning experiences as I make my way thought these beginning stages of blogging and the blogging community. Thank you again Jiggle On and may we continue to meet up with one another in our blogging journeys. Let’s get down to the rules first, shall we? 3.) Do you have a hobby? If so, what is it. No I guess I haven’t been able to get into anything lately as my life has been a bit hectic although I use to collect old post cards. Back some years ago, a friend introduced me to flea markets. That is where we did our searching for old post cards from the area we lived in. It was fun and I still have the collection. 5.) What is your greatest fear? Dying The thought of leaving loved ones behind, missing the grandchildren growing up… the unknown… but I do trust in the higher power and have faith. 6.) What is your favorite holiday? I guess I would have to say Thanksgiving. This is a time when family and friends come together to share a meal and engage in great conversations and fond memories. It is a time of being thankful for the people in our life and the beauty that sounds us everyday. A day with family and friends is a very special time! I ask you the same 6 questions from above. My Weekly Feature for a month : I think I will post, on every Sunday, an inspirational thought to follow for that coming week. Something I wanted to share with the women out there…. I’ve been working on Blogging 101. It seems to be coming along, some parts a bit harder than others. Not sure if you noticed but I did change my theme but then decided I liked my original one better, so I went back :-). I want to thank all of you bloggers for your time, your “likes” and your comments. I still have a ton to learn but with patience and time I hope to get much better. 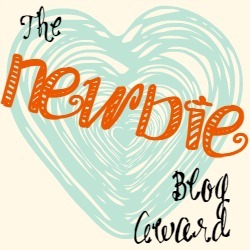 Thank you again to The Crafty Lady in Combat Boots for the “One Lovely Blog” award. It has all been fun and a great learning experience. I have read many awesome blogs!!! Thanks to all. Oh my goodness!!! Nadia was absolutely right. I tried her recipe for the chocolate shake and it was absolutely delicious!! I added my normal hemp seed, goji berries but wow, I will be adding this to one of my favorites!! Thanks again mumanddaughter for all your great information!! Have a wonderful day!